Below you can view all the condos for sale in the Lodo Downtown subdivision located in Denver Colorado. Listings in Lodo Downtown are updated daily from data we receive from the Denver multiple listing service. To learn more about any of these condos or to receive custom notifications when a new property is listed for sale in Lodo Downtown, give us a call at 720-729-2320. Call now for your private tour! MLS#8357975. TRELORA. Call now for your private tour! MLS#2582632. TRELORA. 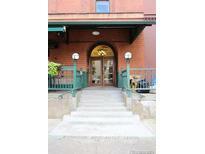 Awesome location just a 1/2 block to the 16th St. mall shuttle and easy access to light rail! MLS#6767652. Kentwood Real Estate City Properties. Concierge Service, dedicated parking space in Garage, Storage Bin and Bicycle Storage for your convenience! Perfect for the Urban Professional! MLS#8730900. Metrowest Real Estate Solutions. Over $30,000 in rent potential the next year! MLS#2058544. LIV Sotheby's International Realty. Take advantage spaces to play with Commons Park, the Cherry Creek Bike Path, REI, & the Museum of Contemporary Art! MLS#7282529. Keller Williams Realty Downtown LLC. Countless World Class Chef Owned Restaurants You Can Walk 2, Along With All The Pubs, Nightclubs & More.... MLS#6205017. RITTNER REALTY INC. Enjoy easy access to all the amenities that make LoDo the neighborhood of choice in downtown Denver. MLS#4286163. USAJ REALTY. ***Parking space on the 7th floor of the building is leased and transferable ($175/month). *** MLS#9985248. 8z Real Estate. Enjoy Larimer St. with Endless Restaurants, Entertainment, Sporting Events, Pubs, and Shopping! Schedule your showing TODAY! MLS#1943309. Redfin Corporation. What a lifestyle! You will fall in love. MLS#9618369. LIV Sotheby's International Realty. Loft includes one garage parking space (more spaces available for rent on a monthly basis), storage locker, rooftop patio w/views of Denver’s skyline. MLS#3770249. Area 303 Real Estate, LLC. Stunning condo in the heart of Lodo in one of Denver's finest historic downtown buildings*Unique opportunity to own in West End Lofts*They rarely go on the market*The unit boasts classic high end details throughout*designer paint & window coverings, gourmet kitchen with dramatic slab granite*SS appliances, wine cooler*new lighting,storage under kitch island*custom baseboards & door moldings enhance the decor with richly refinished hardwood floors; soaring ceilings,open floor plan & California walk in closets*12K sliding entry door bids you welcome to the unique flex room*currently used as a dining area,could be used as an office, sun room or guest room!Spacious 5 piece master bath,full 2nd bathroom & separate laundry room*the unit is in the front of the building facing Wazee and to the east*5 Blocks to Coors Field & Center for performing arts,3 blocks to Larimer Sq, 2 blocks to Union Station & steps away to the 16th St mall*1 1/2 blcks to Cherry Creek Trail, reasonable HOA! MLS#3526050. RE/MAX 100 INC..
1 parking space (241) and 1 Storage (B4). Call now! MLS#1675805. TRELORA. Take advantage of the secure building entrance with friendly doorman, reserved parking space in the attached garage, and all that downtown Denver has to offer. MLS#8813303. Madison & Company Properties. Mall, LoDo and much more. SEE STREAMING VIDEO! MLS#4240091. Cinema Realty. Awesome location in the heart of LoDo with easy access to I-25 and just blocks to Union Station. MLS#7990673. Kentwood Real Estate City Properties. This a non-warrantable loft so call us for financing options. MLS#5235258. RE/MAX Professionals. Come take a look - you'll be so glad you did! MLS#8567075. Huntington Properties LLC. Four Seasons Design And Views Withouth The Fees MLS#7303031. Camber Realty, LTD. Learn more about the Penthouse at https://helloadammoore.com/mls/1560-blake-street-penthouse-810 MLS#6490153. LIV Sotheby's International Realty. See SteelBridgeLofts205.com for more info and pictures MLS#3070132. LIV Sotheby's International Realty. With a rare 3 car attached garage with wide private indoor stairs leading to the living space as well as private front and back entrances, you can literally step outside your door into vibrant Lodo and walk to sporting events, theaters, cultural attractions and the best shopping and dining Denver has to offer. MLS#2629522. LIV Sotheby's International Realty. The space can be initially viewed via this virtual tour: https://my.matterport.com/show/?m=jwsafBG9rZb MLS#8001159. Keller Williams Realty Downtown LLC. If you can add another bathroom, you will have a loft worth in the mid $700s! ! MLS#3536904. Your Castle Realty LLC.